Why A Leader Needs To Be A Risk Taker! Our world would have stayed the same as it was when it was first formed if there weren't for risk takers. Man wouldn't have discovered the usefulness of fire, if all our ancestors ran away from fire or were afraid. Our lives may not have been easier and full of technological gadgets if no one had dared to test the limits of our minds and the things around us. Let's face it; the world is a better place partly because our leaders dared to take the risk. 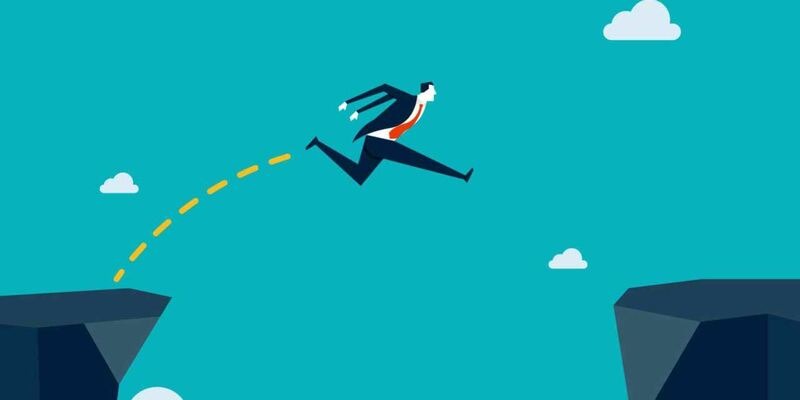 (1) Innovation: A good leader is someone who isn't afraid to venture the unknown. In the real world, no matter how much time you have devoted in planning an activity or an event, there will always be glitches and problems. Thus, a leader should always be ready to innovate and accept new ideas. He or she must be willing to take calculated risks to ensure the fruition of the group's objectives and to ascertain the common good. There wouldn't be steam engines or magnetic resonance imagine if the people behind these great successes were averse to risks. (2) Knowledge: Since the beginning of time, man has learned to conquer his surroundings through trial and error. Scientifically speaking, the human race was able to exceed other species in terms of the acquisition of knowledge because of our curiosity and our insatiable quest to discover new things. However, people won't be able to gain knowledge if nobody dared to take risks. Therefore, if there were no bold leaders who took it upon themselves to take the risk, man wouldn't have been able to amass the wealth of knowledge that all of us are enjoying now. (3) Change: The only permanent thing is change. A leader who accepts this concept is someone who knows how to take risks and step outside of his or her comfort zone. Many companies, businesses and even empires have fallen or gone bankrupt because their leaders became comfortable with the status quo. In contrast, companies and even countries that have been led by people who didn't cringe when asked to take the risk have adapted to the changing times and have continually maintained their top position. In order to become an extraordinary leader and leave your mark on your organization or group, you shouldn't be afraid to take calculated risks. Don't just simply jump into the unknown. You still have to use your mind to evaluate your options and assess your situation before taking risks. Business Owners, Fraud Protection is Important! Fraud is a common threat to all businesses. No matter the size or its financial status, fraud and fraudulent behavior can occur in any business organization. 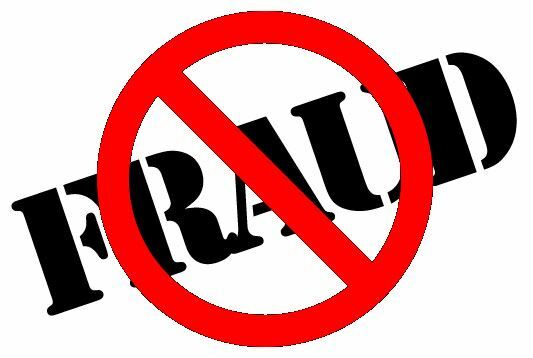 There are two types of frauds which can occur in a business, internal fraud and external fraud. iv. To segregate duties in all areas of their business. For external fraud (shoplifting, credit card fraud, cheque fraud, scams and break-ins), following suit to internal fraud, strong internal controls will help to prevent it. The internal controls should be visible and, where appropriate, visible to staff and customers (e.g security cameras on the cash register). Any offers that appear from an unknown supplier should be carefully checked and also be aware of fax-back offers and internet officers. iii. The equipping of electronic surveillance systems, which should include as much new innovation, such as biometrics (including, for example, iris scans and voice recognition), that the business is able to afford. ii. A reflection on the importance of the division of duties, segregating all duties, especially the sensitive ones. If there is at any point you, the owner or management, realize an employee is performing duties outside their job description that is a major red flag. iii. A specification stating that all employees must take annual leave regularly. This is a very effective preventative tool because an employer is more likely to discover perpetrators running an ongoing fraud scheme when they are removed. The need for formal job descriptions is often underestimated by business owners, normally being considered as ‘more useless paper’. At other times, owners create job descriptions but then ignore them. This attitude invites trouble. The third basic control which, in corresponding to its position, is the third most important basic control. It is accounting reconciliation and analyses. Regular, appropriately performed accounting reconciliations will highlight discrepancies that can point towards fraud and will make it difficult even to the extent of being impossible for persons within the business to conceal fraudulent behavior. To achieve this, it is necessary that you the owner perform accounting reconciliations such as Bank reconciliations (for all accounts), accounts receivable reconciliations (both month to month and general ledger to sub-ledger) and accounts payable reconciliations (again, both month to month and general ledger to sub-ledger). i. Consistent and strong supervision separate from the supervision whereas a manager or supervisor actually takes charge of or alters the work of a subordinate. In fact, override itself is a red flag, as it suggests that the manager or supervisor may be engaged in fraud or the concealment of one. Good supervision consists of fraud awareness, and approval, review, double checking and re-doing. ii. Fraud Awareness. Supervisors must be alert to the possibility of fraud whenever an unusual or exceptional situation occurs, such as complaints from suppliers or customers, discrepancies that don’t make sense, or accounting reconciliations that don’t balance. If a manager’s mind is closed to the possibility of fraud during an unusual or exceptional situation, the risk of the fraud continuing unabated increases greatly. iii. Approval, review, double-check and re-doing. This is going beyond the typical approval function. A more thorough review, double-checking employees’ work and re-doing some tasks may be necessary and should be approached diligently. POSTCARDS—A QUICK WAY TO MORE SALES …5 REASONS TO LOOK AT THIS MARKETING STRATEGY. Need To Give Your Business a Quick Lift? Need a quick way to get more sales? Want a simple way of keeping in contact with your customers? Need a new lead generation tool? Take another look at postcard marketing. A few years back, people predicted the internet and e-mailing would rule the marketing world. They forgot to factor spam and e-mail filters into the mix. After a dip in direct mailing volume, postcard marketing is once again increasing in numbers. This article invites you to see how postcard marketing can improve your bottom line. I will give you five reasons why this proven low-tech tool can make a difference in your business results. Don’t be fooled by the simplicity of post card marketing! Why does postcard marketing work? It is direct response advertising. You can create a postcard by making an offer. You send it out. You will know immediately whether it is working if people come in and present the postcard to you. A postcard has all the ingredients of good marketing. It’s concise and easy to read. It allows you to create incentives. It invites people to take action now. In addition to these qualities, it is delivered every day. It’s reliable. The post office is a branch of the US government. It’s not going away anytime soon. It can take years to establish your business brand or image. A newspaper ad may take as many as 6-10 views before it sticks in the reader’s mind. Postcard marketing is the simplest form of direct mailing. When you create a post card promotion, put a deadline on your offer. Send it out and see the response. If it doesn’t work, try a different offering. You get an almost immediate response, especially if you ask the customer to use the postcard when they call or visit your business. Obviously, the cost of a 1st class postcard stamp — 23 cents — is cheaper than a first class stamped envelope. But it is low cost for other reasons. You have no envelopes to stuff. You can do postcards yourself. You can buy postcard stock at your local office supply store. Most computers have software programs for creating the postcard format. You can do this yourself without a great deal of time and effort. Follow the basics ingredients of a good ad and you’re set to go. You have no expense with a printing company. Your yellow page ad can be a great ad. But you have one time a year to make changes. If you make a mistake, you pay for it the whole year. Postcards are much more flexible. If one doesn’t work, you can do another. You can use postcards for many purposes. To get a boost in sales, you can use postcards to make special offers to your customers. You can use postcards to keep in contact with your current customers so competitors don’t steal them away. You can use postcards as a lead generator for new prospects. You can use postcards in conjunction with other forms of marketing in a follow up process. The biggest challenge you have with marketing today is getting people’s attention. With over 3000 advertising impressions hitting each of us every day, you need something that gets people’s attention. Unlike a letter, there is no envelope to open. No time consuming effort. You pick up a postcard and turn it over. You can read it in a matter of seconds. That’s exactly what other people do. Unlike many letters that immediately end up in the circular file, postcards get read. People are curious and they know it will only take a few seconds to read the postcard. Study your own behavior next time you get a postcard in the mail. Ask yourself, would you like customers and prospects to give the same attention to your postcards? I hope this article has given you enough reasons to look again at postcard marketing as a powerful tool in your efforts to make more profits. Don’t let the simplicity of postcard marketing fool you. Many companies have used postcards as their only means of marketing to build very successful businesses. Take another look at how postcards can be used effectively in your business. 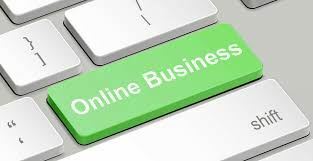 There are many different online business that you can create and in this article we are going to look at a couple of different types. This article focused on creating online businesses and the different types that you can create. The first kind of businesses that you can create when looking to create an online business would be a website which serves a particular niche in the market. Many people have done on this and this is often done by trying to find an underserved niche, building a website, and then profiting off of this small but profitable match. When you're building a website, you're going to want to find cheap keywords that you can use to help build your business as well as create good content. By creating the content and then creating back links between yourself and other websites, you'll be setting yourself up to have a high page rank with Google. By using AdWords to bring traffic to your website and then also developing your natural search engine traffic through building up a website, you will have built yourself a very solid business. This is just one way of creating online business. There are many ways to make money on the Internet. You will not have to use a lot of money up front to create these particular online businesses and these businesses can be something that you will have great deal of success with. Business Owners, the theosophical idea is that the physical man, and all that constitutes his life in the physical world, is but a very partial expression of the self; that in the ego of each there is practically unlimited power and wisdom; that these may be brought through into expression in the physical world as the physical body and its invisible counterparts, which together constitute the complex vehicle of the ego's manifestation, are evolved and adapted to the purpose; and that in exact proportion that conscious effort is given to such self-development will spiritual illumination be achieved and wisdom attained. Thus the light that leads to happiness is kindled from within and the evolutionary journey that all are making may be robbed of its suffering. Why does death bring misery? Chiefly because it separates us from those we love. The only other reason why death brings grief or fear is because we do not understand it and comprehend the part it plays in human evolution. But the moment our ignorance gives way to comprehension such fear vanishes and a serene happiness takes its place. Why do we have enemies from whose words or acts we suffer? Because in our limited physical consciousness we do not perceive the unity of all life and realize that our wrong thinking and doing must react upon us through other people a situation from which there is no possible escape except through ceasing to think evil and then patiently awaiting the time when the causes we have already generated are fully exhausted. When spiritual illumination comes, and we no longer stumble in the night of ignorance, the last enemy will disappear and we shall make no more forever. Why do people suffer from poverty and disease? Only because of our blundering ignorance that makes their existence possible for us, and because we do not comprehend their meaning and their lessons, nor know the attitude to assume toward them. Had we but the wisdom to understand why they come to people, why they are necessary factors in their evolution, they would trouble us no longer. When nature's lesson is fully learned these mute teachers will vanish. And so it is with all forms of suffering we experience. They are at once reactions from our ignorant blundering and instructors that point out the better way. When we have comprehended the lessons they teach they are no longer necessary and disappear. It is not by the outward acquirement of facts that men become wise and great. It is by developing the soul from within until it illuminates the brain with that flood of light called genius. It is the natural right of every human being to be happy to escape all the miseries of life. Happiness is the normal condition, as natural as the landscapes and the seasons. It is unnatural to suffer and it is only because of our ignorance that we do suffer. Happiness is the product of wisdom. To attain perfect wisdom, to comprehend fully the purpose of life, to realize completely the relationship of human beings to each other, is to put an end to all suffering, to escape every ill and evil that afflicts us. Perfect wisdom is unshadowed joy. Why do we suffer in life? Because in the scheme of nature we are being forced forward in evolution and we lack the spiritual illumination that alone can light the way and enable us to move safely among the obstacles that lie before us. Usually we do not even see or suspect the presence of trouble until it suddenly leaps upon us like a concealed tiger. One day our family circle is complete and happy. A week later death has come and gone and joy is replaced with agony. Today we have a friend. Tomorrow he will be an enemy and we do not know why. A little while ago we had wealth and all material luxuries. There was a sudden change and now we have only poverty and misery and yet we seek in vain for a reason why this should be. There was a time when we had health and strength; but they have both departed and no trace of a reason appears. Aside from these greater tragedies of life innumerable things of lesser consequence continually bring to us little miseries and minor heartaches. We most earnestly desire to avoid them but we never see them until they strike us, until in the darkness of our ignorance we blunder upon them. The thing we lack is the spiritual illumination that will enable us to look far and wide, finding the hidden causes of human suffering and revealing the method by which they may be avoided; and if we can but reach illumination the evolutionary journey can be made both comfortably and swiftly. It is as though we must pass through a long, dark room filled with furniture promiscuously scattered about. In the darkness our progress would be slow and painful and our bruises many. But if we could press a button that would turn on the electric light we could then make the same journey quickly and with perfect safety and comfort. The old method of education was to store the mind with as many facts, or supposed facts, as could be accumulated and to give a certain exterior polish to the personality. The theory was that when a man was born he was a completed human being and that all that could be done for him was to load him up with information that would be used with more or less skill, according to the native ability he happened to be born with. More on this subject in Part Two's Continuation! When you build courage, you start to improve your personal life. 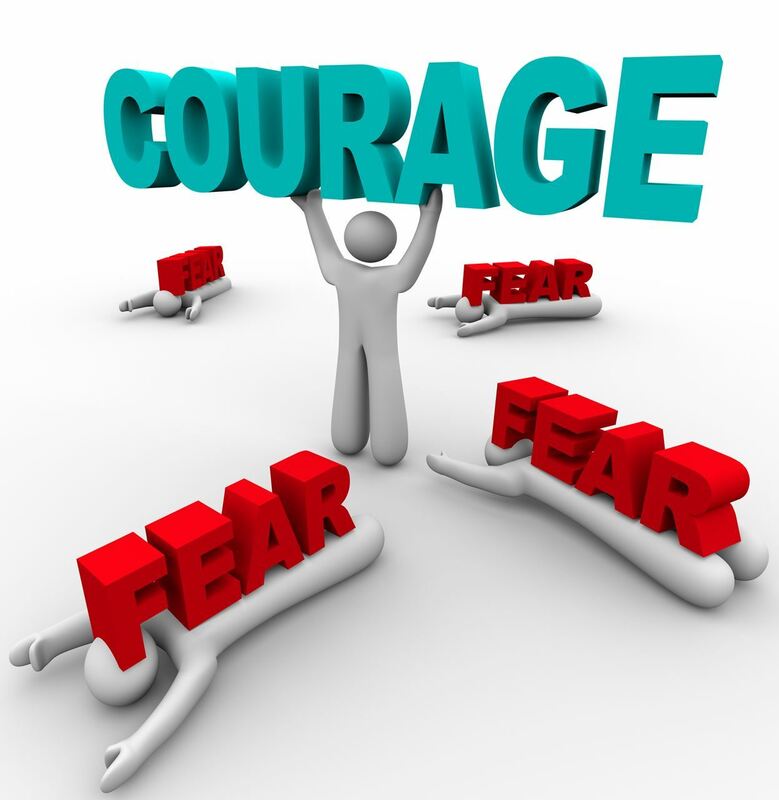 Building courage will help you take risks to a brighter future that you ordinarily would not take. When you build courage, you put fear behind you. courage is the process of admitting that you have fears, yet you are willing to find a way to defeat those fears and not allow these fears to take control of you. It is okay to experience your fears at appropriate times. For instance, if a bus is heading in your path, swerving you have a right to fear. There is nothing wrong with healthy fear. The problem is you have to put healthy fear in its place and unhealthy fear out of your life. Once you build courage, you will learn to self-direct you in life. You will learn to accept punishment and rewards gracefully. A courageous person will often feel motivated to accept blame and responsibility while reviewing their actions and using what they learn to move forward. Courageous people will step to the front, rather than stepping back when opportunities come their way. On the other hand, a courageous person will step back and take a view at his or her mistakes gracefully. Sometimes the courageous person is spontaneous. It is never good to plan each day, because no one knows what the next day will bring in. Think about it. How many times have you planned something all to see it shatter in your face the next day. For instance, I plan to go to the ballgame tomorrow. Come tomorrow a blizzard, hurricane, tornado, wind storm, or rainstorm could change your mind. You planned, but did you plan for the weather. Did you make a backup plan in case your first plan failed. As you can see, planning is not always in your favor, which is why courageous people are sometimes spontaneous. A person willing to improve their life will relax. This person will relax even when plans fail. For instance, if it stormed the next day the person will find something else to occupy his or her time and feel just as happy about joining this adventure. To become successful and improve your life you will need to learn how to trust you. When you trust you, you can trust others as well. Unfortunately, we live in a world where trust is hard to find, yet when you trust you, you cant blame others when things go wrong. Improving your life includes using your creative and critical mind. When you can create new ideas, you are off to the road to success. You have many options in this world, it takes you to pull up resources to find those options. Sometimes in life, we feel uncomfortable. In fact, this is common. Are you willing to accept your discomforts? Perhaps at an interview you feel misplaced. Are you willing to accept this discomfort and find a way to deliver a good speech to impress the interviewer. Alternatively, are you willing to allow negative energies cost you the job. Do you accept? Do you accept the things you cannot change? Do you accept the things you have control over? Do you accept other people regardless of how these people act? Do you accept you for who you are? Do you accept the changes that life brings your way? Acceptance is your key to happiness. When you can learn to accept the good with the bad, you can learn how to live happier and improve your personal life. If you cannot accept however, well, reread this article again. Getting Started! The way to get what you want through the Law of Attraction is learning to control your thought process. Negative thoughts produce as much energy as positive thoughts. Thinking about your fears and saying "I don't want that" is probably going to result in your fears being realized. Cosmic energy is literal. It doesn't understand "I don't want". It produces results based on energy. So if you're producing more negative energy than positive, your results are going to be negative. Training your mind to concentrate on the positive instead of the negative is a necessary, but often difficult process. People are worriers. It's a survival thing designed to help us remember and avoid the dangers of life. But being aware of our fears and letting them control our thoughts are two different things. Turning the negative fears into positive thoughts is the key. Your thoughts are yours. They can be your faithful servants or your masters. Which ever you allow them to be. You have the control, you make your choice. You determine which course your thoughts take. Learning to control your thoughts can be done by learning to control your will. By mastering yourself. Phrases like "I am master of my self" can lead you in the right direction. Repeating these or similar words, and believing them, will make them real. When confronted with fears and doubts, remembering to "master" your thoughts keeps the positive energy flowing. Leaving no room for the negative energy to manifest. JOLLY BEACH, Antigua – Attendees at Day One of the LEAP Small Business Conference learned new techniques to improve sales and expand their business reach beyond Antigua and Barbuda. The conference, presented by C&W Business, Caribbean Union Bank and the Antigua Barbuda Association of Small Business Owners (ABASBO) is being held over two days at the Jolly Beach Resort. Leading off the presentations was strategist Nerissa Golden who discussed whether businesses should focus on the customer more than the product. She stressed that while understanding the needs of customers was essential, today’s market place is looking for new and innovative products. “You can choose to provide something already in the marketplace better than it is currently offered. It is also important to test the market with new products and services before you launch,” Golden shared. She added that using tools such as online polls and crowdfunding are ways to gauge potential for new offers along with traditional methods such as testing prototypes. Direct Sales and Marketing Expert Troy Holder of Barbados said direct marketing was salesmanship multiplied. He stressed the necessity of aligning the market with the message and the media. He said the best clients to do business with are the ones who already work with you, inactive clients and clients you may have lost over time. Holder added that it takes a much longer time to develop relationships with new prospects and bring them to the stage where they are ready to buy. Baptist outlined several strategies for leveraging available resources. Increased use of the internet, she said, allows businesses to grow their customer list, raise more capital and be everywhere digitally. She offered continuity pricing as one way companies such as C&W are able to have stable revenue from month to month. This she said, is a model more business owners can adopt, which can give them more peace of mind about their monthly revenue. Treasure noted that with the power of social media tools, websites and lead capture tools, business owners can connect directly with customers to foster relationships which they can build on. Closing out the day was creator of the Caribbean crowdfunding platform Cecile Watson. Watson, who launched www.pitchandchoose.com in January 2015 said by 2025 the World Bank estimates that 93 billion dollars will be raised via crowdfunding. She emphasized that the platform offers ways for small businesses to get around the hurdles of waiting for a bank to finance them. Currently the four models for crowdfunding are raising donations, a reward system, lending and equity. Watson, who is a former banker noted that people fund people not projects, and it was essential to success with crowdfunding that they understand digital media is here to stay. These platforms she said are driven by people telling compelling stories that drive the crowd to support financially. Having a product people want, making a compelling pitch, validating the product and consistent promotion are keys to success with crowdfunding. Day one closed with a Q&A Session featuring all of the panelists and featured speaker for Day two Carol Sankar of Trinidad & Tobago. Day two of LEAP, continues with Youth LEAP on Thursday morning and Women LEAP in the afternoon. This is the first year for LEAP: The SME Conference and Baptist shared that it was an intentional decision to use only speakers from the Caribbean, so business owners and aspiring entrepreneurs hear from people who are doing what the desire to do. Learn more about the conference at www.leapantigua.com. Click here, to view more photos of the Leap SME Conference. Photo Caption – Leadership Expert Carol Sankar, Media Strategist Nerissa Golden, Direct Marketing Expert Troy Holder, Crowdfunding Founder and Business Coach A. Cecile Watson, Host Sandra Baptist and Marketing Consultant Stephanie Treasure. Business Owners, many people are discovering that various income opportunities can be found on the internet. Everyday, new forms of income from the web are introduced. People who dont have a career or a job can now earn the income that they want as long as they have a computer or laptop and a fast internet connection. 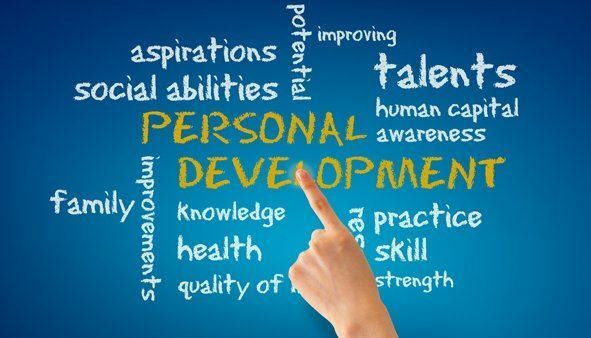 Your income business opportunity online will greatly depend on your character or attitude and of course, your hidden talent. You can use your hidden talent to come up with unique and new business opportunity online. If you seek residual income, you have to possess the right attitude. 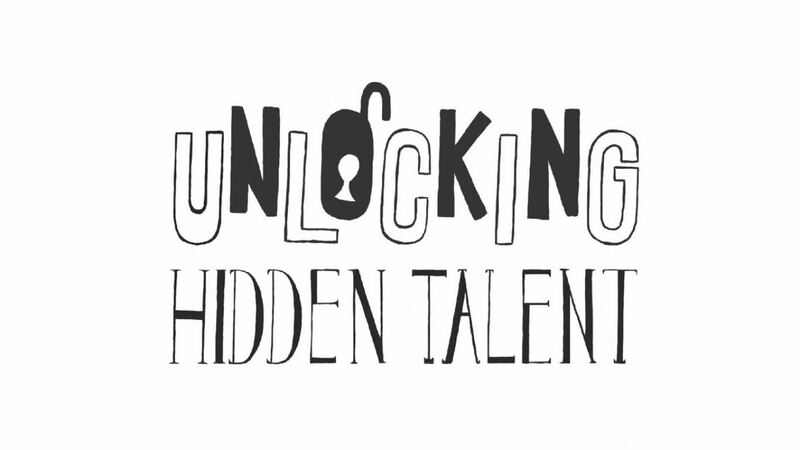 You simply have to uncover your hidden talent but how can you do that? 1. State of mind. Your attitude as mentioned earlier really counts. You should have a positive state of mind so that you can generate positive actions. 2. As long as you remain positive in every aspect, your aspirations will continue to soar and you can get rid of all negatives. 3. Through your creative mind, you can earn residual income. 4. You must be an innovator; dont follow what others are already indulging. You must learn to think out the box because that is the only way to financial success. 5. Dont be contented by just dreaming; remember that if you act now, your dreams can be achieved and you can make money. A positive thinker will believe that his or her intelligence is enough to follow a certain program. 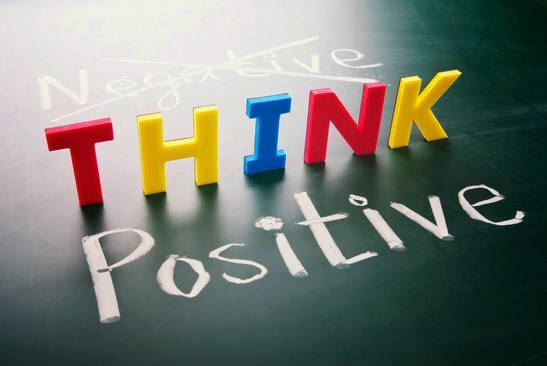 Dont think negatively because if you do, you will not achieve anything. If other people can succeed in an online business, then so can you soon, you can delve into business opportunities that can bring in money. Your imagination will now start running and that is excellent because you will start asking questions. Those individuals who ask and think are potential winners. With so many income opportunities online, you will find it hard to choose one but for starters, you must join a tutorial site so that you can learn about the various tools that you can use as you conduct your online business. You can learn about them without any expense and since youre just a beginner, you will need all the help that you can get. Dont spend money as soon as you decide to enter in the internet business. As you go through the tutorials, you will learn so many things until you finally uncover your hidden talent. Once you do that, you can now look for a business opportunity where you can put your hidden talent at work. The online business you choose to run should be something that youre really interested at and one that you can exert your best efforts. By using the tools you have learned in the tutorial, you can ensure your business success. New forms of income from the internet are surfacing and perhaps your business idea is one of them. Think positive and apply everything you have learned in the tutorial sites. If you want, you can also ask help from fellow online entrepreneurs through the forums. Participate in the forums and you can also share your experiences as a beginner in the online business. Good luck Business Owner and determine your hidden talent as soon as possible!